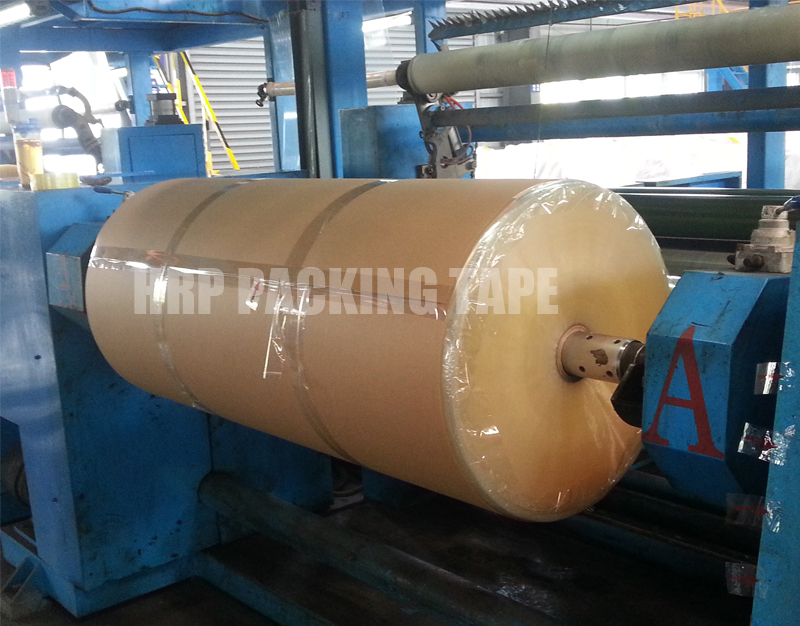 The BOPP Adhesive Tape Jumbo Roll is made of high-pressure corona on the basis of the original film of BOPP, and after one surface is roughened and then glued, the strip is divided into small rolls, which is the tape we use every day. The tape glue is acrylate glue, also known as pressure sensitive glue, the main component is rouge. Rouge is a kind of polymer active substance, and the temperature has a certain influence on molecular activities. The rouge content of the glue directly affects the use of the tape. The initial adhesive force of the normal sealing tape is between ≥13 (steel ball number), and the thickness of the BOPP Self Adhesive Tape Jumbo Roll glue is generally 22 micrometers, which is a standard thickness. For colored tapes, it is convenient for marking and shielding purposes, generally beige and khaki. The color of the colored tape is the color of the glue. The scotch tape is pinched and then pulled open quickly, and the rubber of one side can be pulled out to see the purity and transparency of the original film. Previous: What Is Raw Material of Self Adhesive Tape Jumbo Roll?